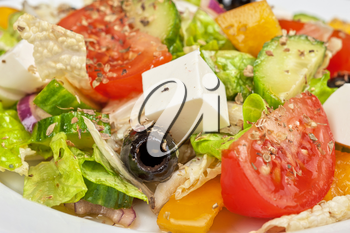 Vital Imagery Blog: Why Eat a Mediterranean Diet? May is National Mediterranean Diet Month. While we may be more than halfway through, it's never too late to think about healthy eating. Experts continue to debate on what foods hurt us most and how. Is it too much bread, too much fat or too much sugar? My personal view is that the problem may simply be the words "too much". Few, however, would argue the benefits of the Mediterranean diet. Who, after all, ever heard of too many vegetables?